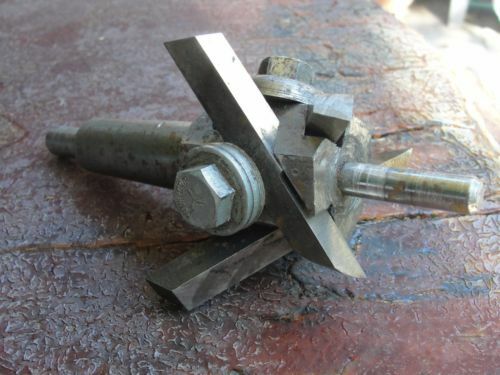 What is this drill bit? Every thread I chase returns to only one item, currently listed on eBay as a Roberts Company 3 bit fly cutter with pilot. The one on eBay has a solid rod in place of the drill bit, but that's trivial. All indications are that it's designed to cut holes in metal. The one in the photo may have a taper, allowing it to be inserted directly into a matching spindle. Not the answer you're looking for? Browse other questions tagged drill-bits or ask your own question. Why is my countersink bit making hexagonal holes? 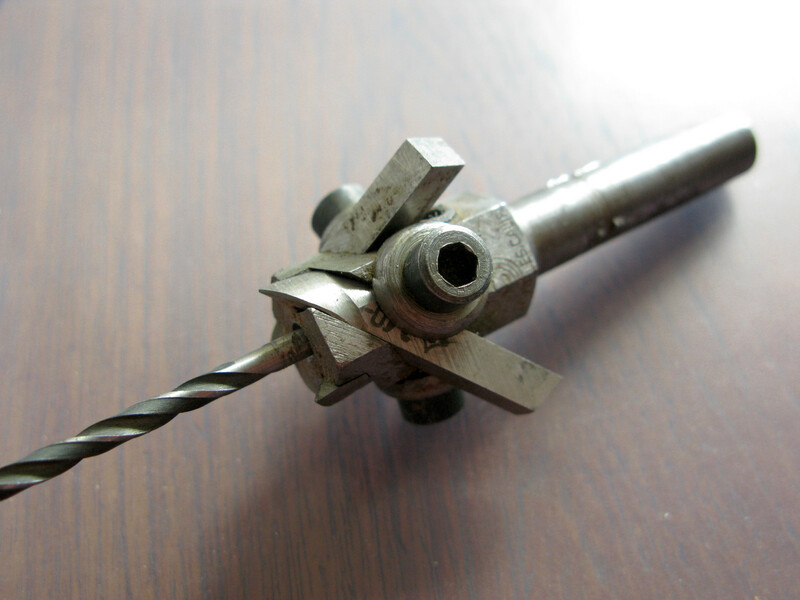 How to identify a wood drill bit from a metal drill bit - and does it matter? How can I recreate this wine rack (ovular holes, proper angle, etc.)? Will a steel guide bushing harm a drill bit? Am I selecting the correct drill bit for this job? How do you drill concentric holes of different diameters on a drill press?